Cisco inaugurated a new Central London office located at 10 Finsbury Square, just south of Silicon Roundabout in Tech City. The office will host over 300 cloud technology professionals. 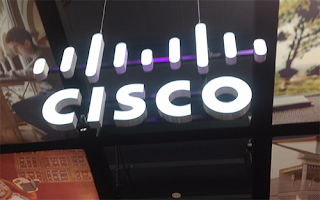 Cisco said the new London location is in addition to the Finsbury Circus office that was opened in 2009, and will house a major part of its growing base of cloud-based technology division focused on mobility and security, which includes Meraki Networks. Beyond its two Central London offices the UK business houses around 5,000 people in corporate, sales and technical functions across 14 locations, including Manchester, Edinburgh and Chandler’s Ford, with the 267,000 sq ft Bedfont Lakes (Feltham) site Cisco’s UK HQ. 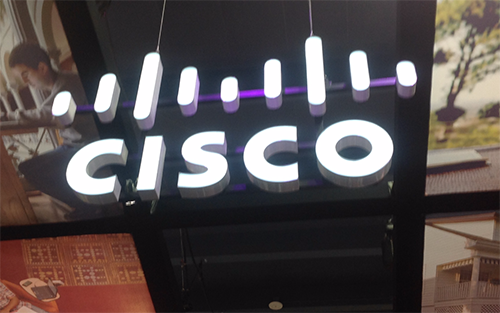 In July 2015, Cisco committed to investing $1 billion to accelerate UK digital economic growth through multiple projects over three to five years. These included investments in education and skills initiatives, a major extension of Cisco’s British Innovation Gateway programme, and $150m of venture capital investments in Internet of Everything UK start-ups. Last week's SC15 conference in Austin for high performance computing (HPC), networking, storage and analysis attracted a record-breaking 12,903+ registered attendees. The SC15 Exhibition was sold out, with 217 industry-focused exhibits, including 43 first-time exhibitors and 113 international exhibitors from 23 countries (outside the US). In all, there was a total of approx. 137,000 net square feet of exhibit space and 343 industry and research organizations. During the conference, Austin also became the hub for the world’s fastest computer network - SCinet (SC15’s custom network) which made 1.62 (16 100G + 2 10G) Terabits of bandwidth available to exhibitors and attendees. The network featured 84 miles of fiber deployed throughout the convention center and $18 million in loaned equipment. The entire Plenary is available online. SC16 will be held next November 13th-18th in Salt Lake City, Utah. Sandvine reported an expansion order for more than $4 million from a major fixed line Communications Service Provider in North America that has been a customer since 2005. The purchase relates to Sandvine's Policy Traffic Switch (PTS) 32000 hardware. Approximately $1 million of the order value is expected to be recognized as revenue in the company's fourth quarter, with the remainder to be recognized in FY 2016. In its 2RU form factor, the PTS 32000 delivers PCEF/TDF functionality at with support for 100GE, 40GE, and 10GE interfaces. "This is now the fourth generation of our Policy Traffic Switch that the customer has deployed," said Tom Donnelly, Sandvine's COO, Sales and Global Services. "Sandvine prides itself on its history of innovation. Only by continuing to deliver industry-leading products like the PTS 32000 can we deliver value for a customer of this quality for over 10 years." Godfrey Sullivan, the Splunk's President and CEO, has stepped down and been replaced by Doug Merritt, who previously served as the Company’s Senior Vice President, Field Operations. Sullivan will remain on the Board and serve as non-executive Board Chair. 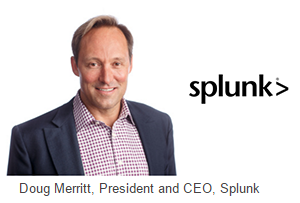 Prior to joining Splunk, Merritt served as Senior Vice President of Products and Solutions Marketing at Cisco Systems, Inc., a networking company, from 2012 to 2014. From 2011 to 2012, he served as Chief Executive Officer of Baynote, Inc., a behavioral personalization and marketing technology company. “Since joining Splunk in 2008, Godfrey has been an outstanding and inspirational leader, growing the Company from 750 customers and $18 million of annual revenue to over 10,000 customers and trailing 12 month revenues of nearly $600 million,” said John Connors, lead independent director.